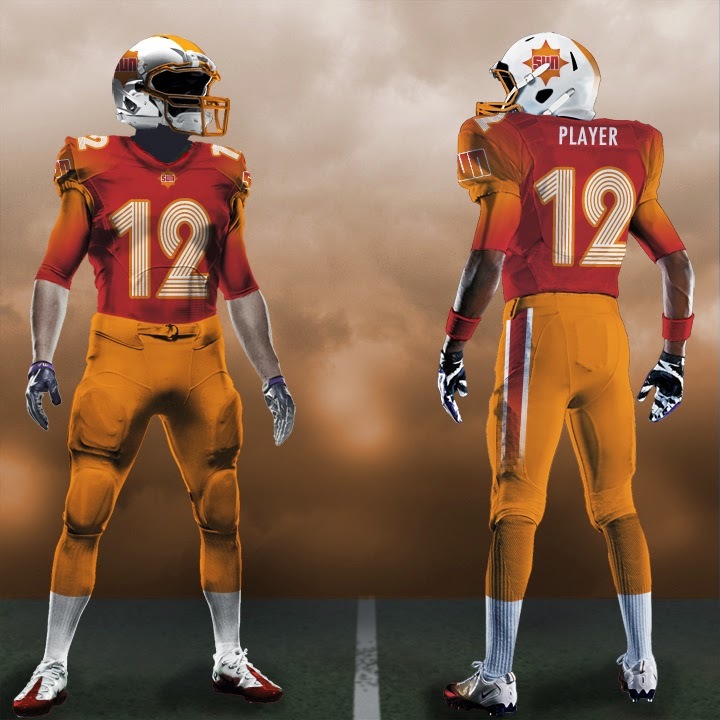 The World Football League uniform contest on Uni Watch is underway. 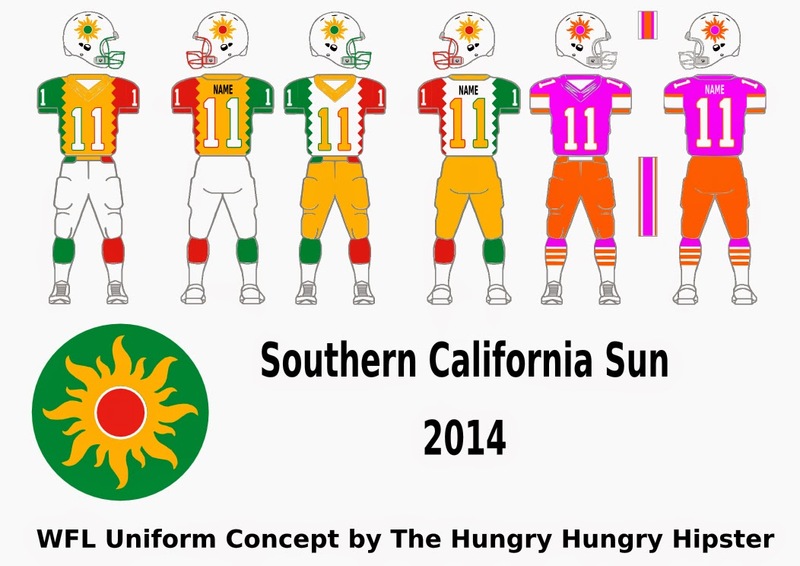 This is a look at the concepts submitted for the Southern California Sun franchise. 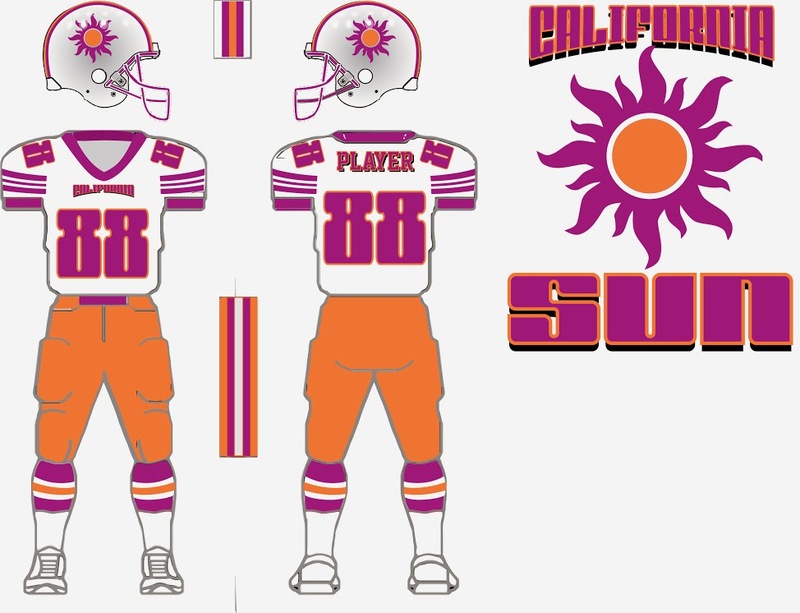 The Southern California Sun were a popular team. They received the most entries. 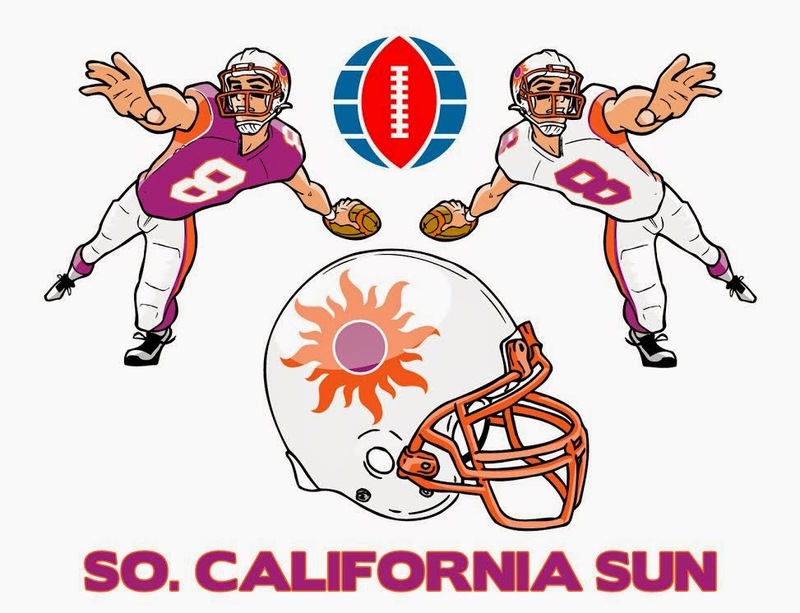 Helmet Logo -2 interpretations- Football forms an eclipse ...or suns rays peeking out around the football as it rises. 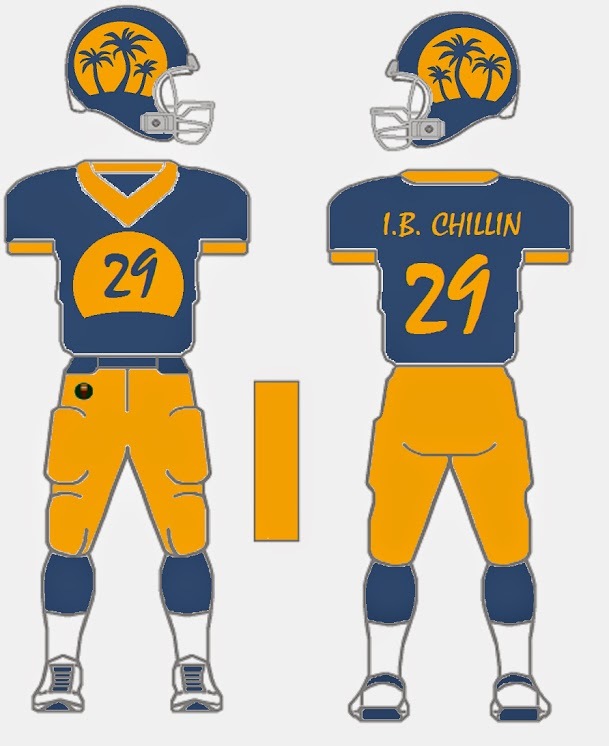 Colors - California=flashy, so I kept the colors unchanged, focus on the unique Magenta color, some UCLA type striping to shoulders, multiple color numbers with modern font. Added black to the color scheme to contrast a bit. 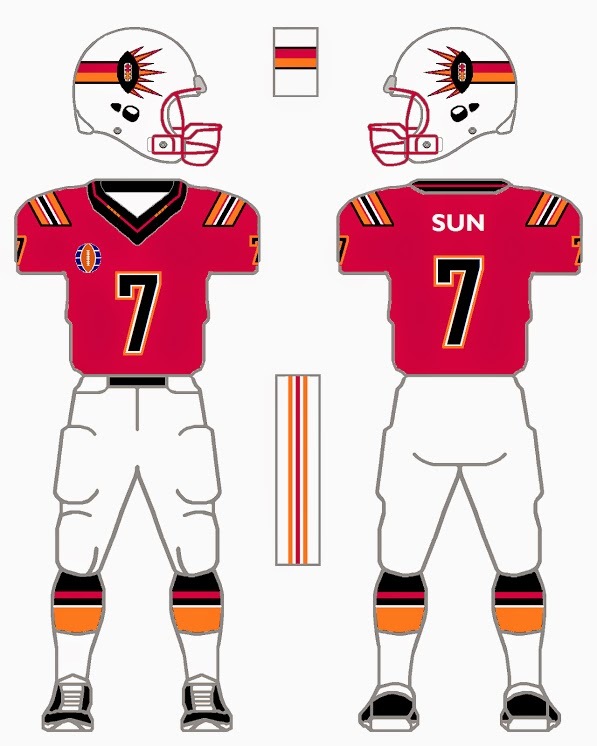 Southern California Sun: Original uniform colors deemed "too 70's" by the early 90's so team adopts the colors of Los Angeles city flag in 1993. 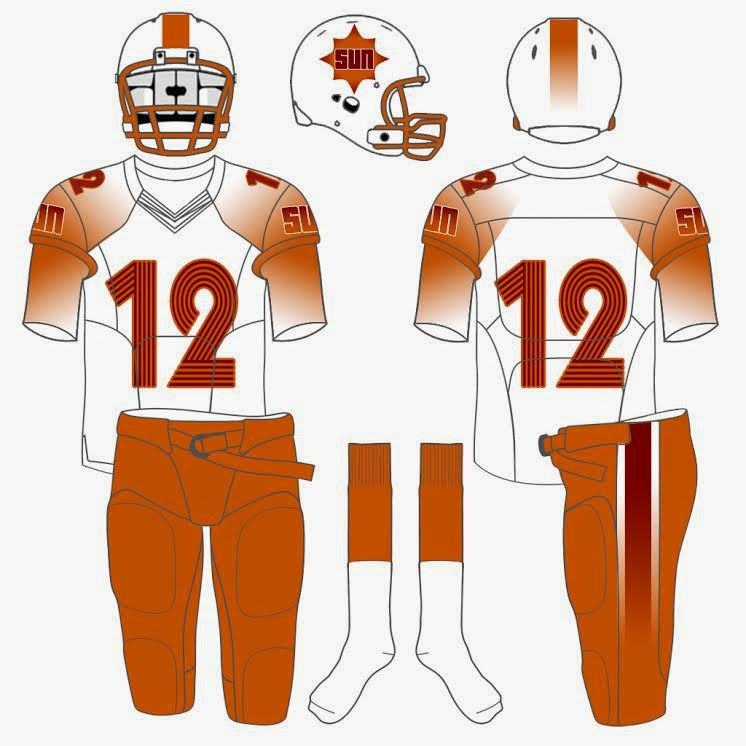 By 2014 the uniforms are heavily inspired by elements of the flag. Magenta and orange throwbacks first appear in 2008; magenta changed to hot pink in early 2010's to cash in on the popularity of neon colors and also promote breast cancer awareness. 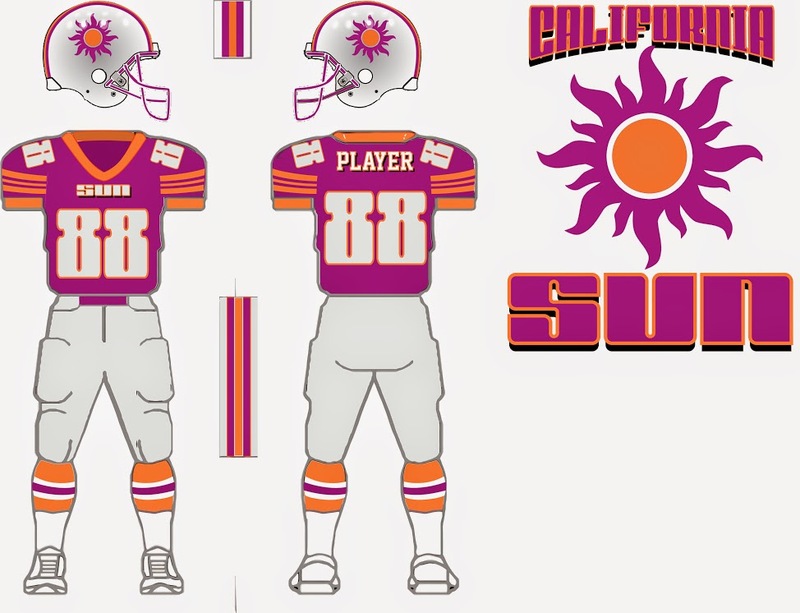 Southern California - It turns out that both the players and the fans didn't really care much for the team's original magenta jerseys. 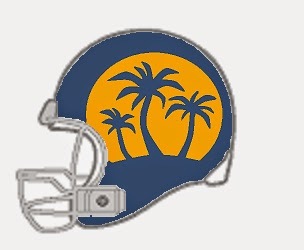 The color was scrapped and replaced with yellow in 1980. The number font was changed in 2006. 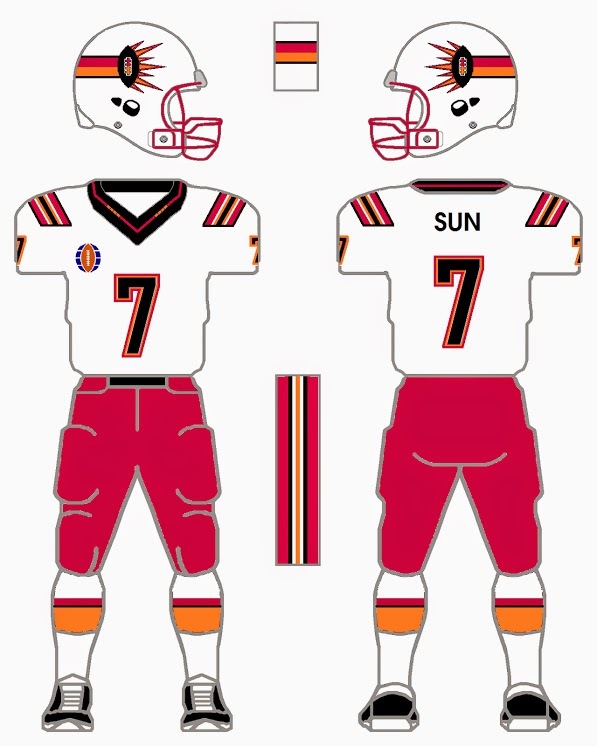 The Southern California Sun: I kept the color schemes near the same while breaking up the uniform options. 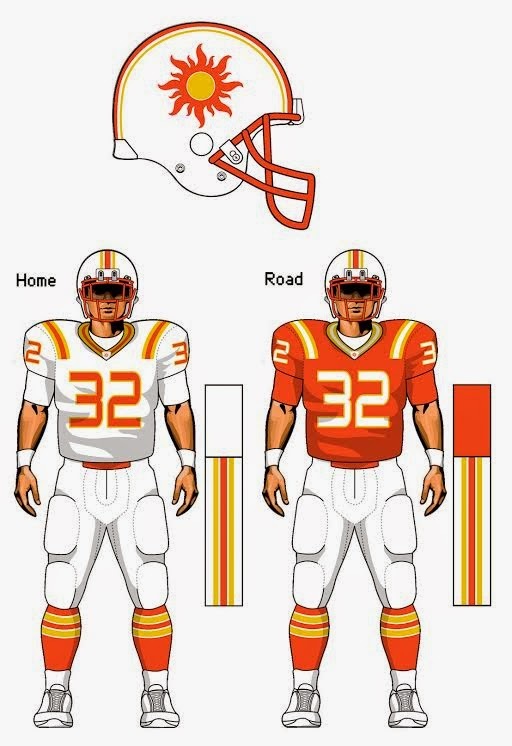 They could still go color on color but it today's day and age they would probably go with Color Top/White Pants at home and the opposite on the road. 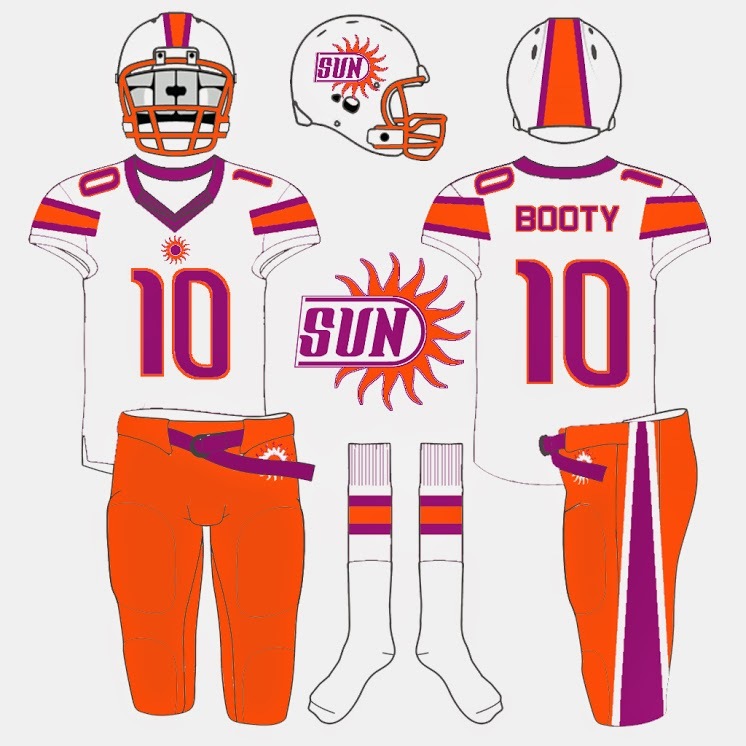 The stripes on the helmet and sleeves are meant to emulate a California sunset. 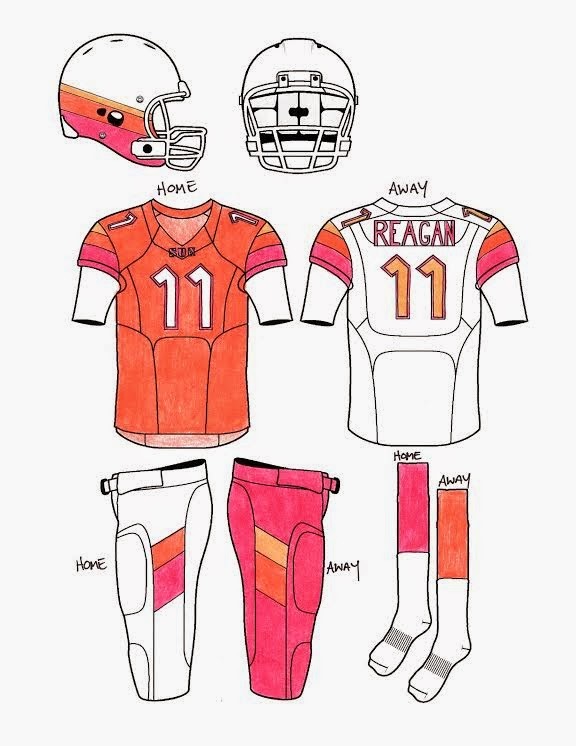 The only thing that really pops is the orange and magenta tones but I think that's all you need for a uniform like this. 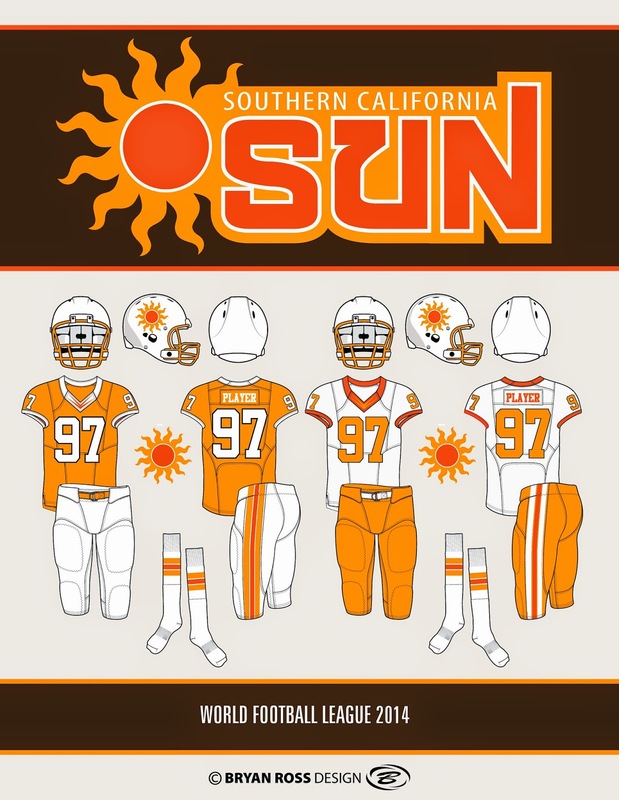 The Southern California Sun adopted white pants as a uniform option in the mid-90s. 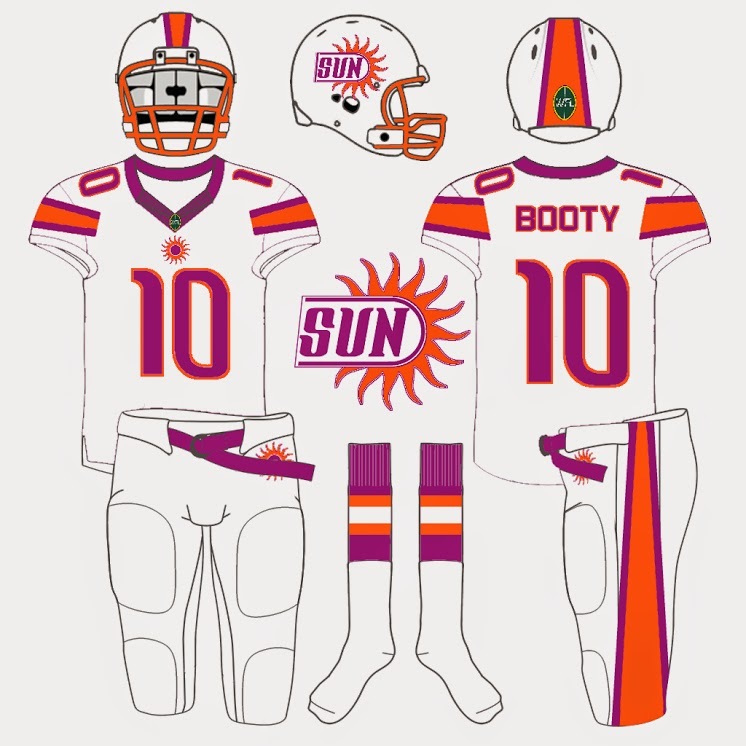 The uniform stripes represent rays of the sun. 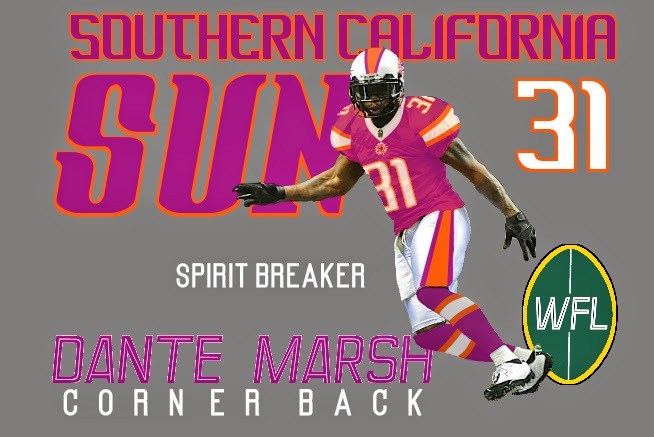 I have included Dante Marsh's player card from this year with the set. 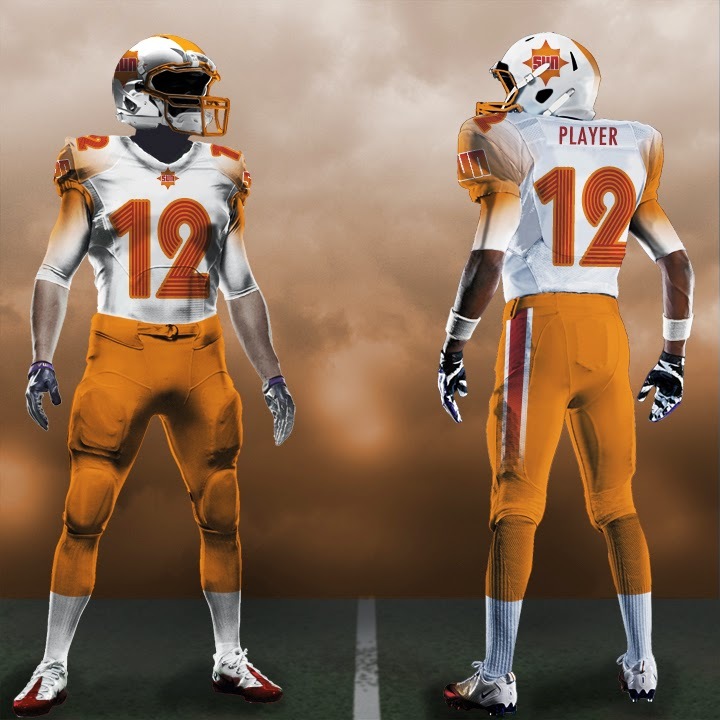 After many years of being without a football team, Los Angeles finally has their wish come true! 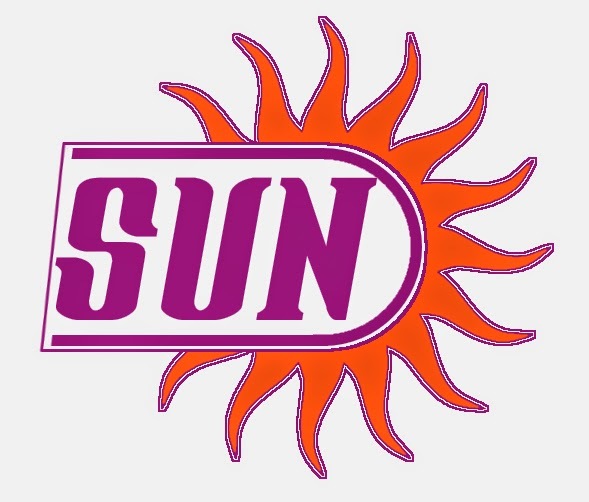 The Sun change ownership again and are relocated to Los Angeles to play at any of the many proposed football stadiums (probably Farmers Field next to Staples Center). 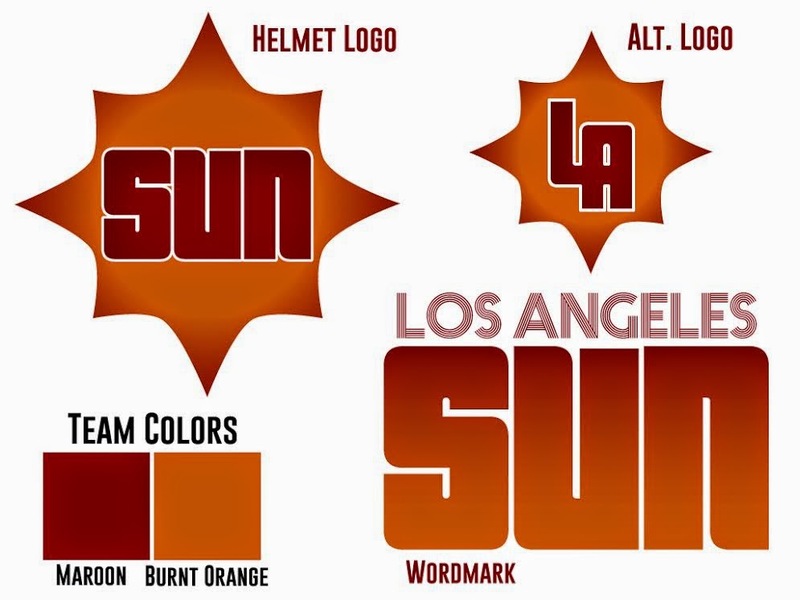 They become the Los Angeles Sun and go through a complete overhaul. New colors (Maroon and Burnt Orange). 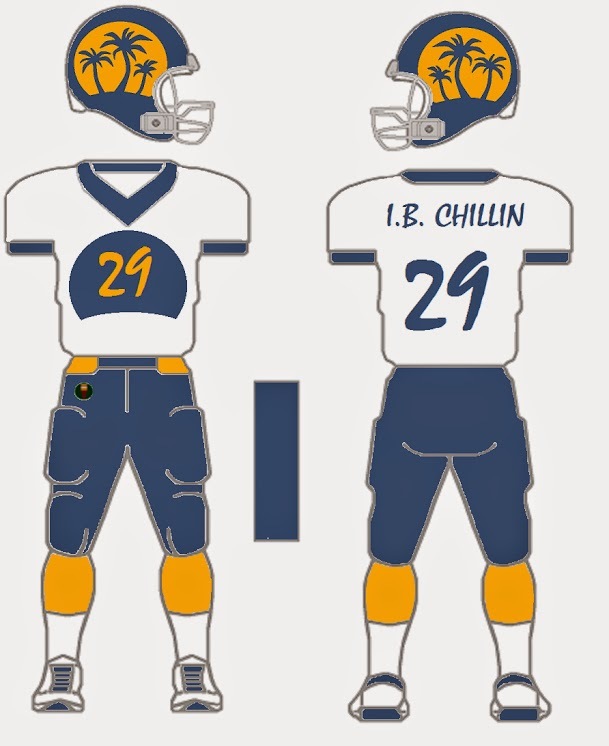 New logo (inspired by the original look) and most notably a new uniform. 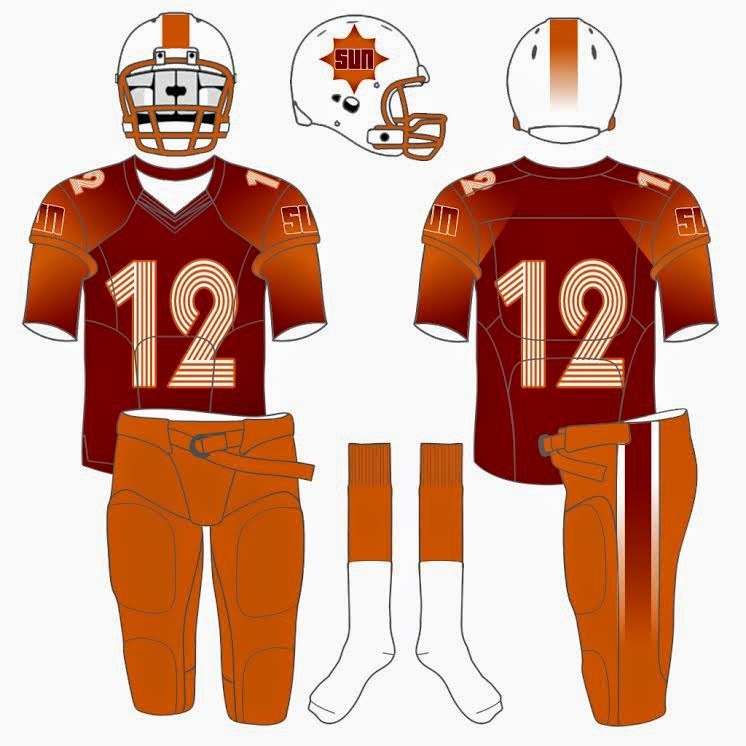 The uniform relies heavily on what they would call a Sunburst Gradient on the shoulders and pant striping. 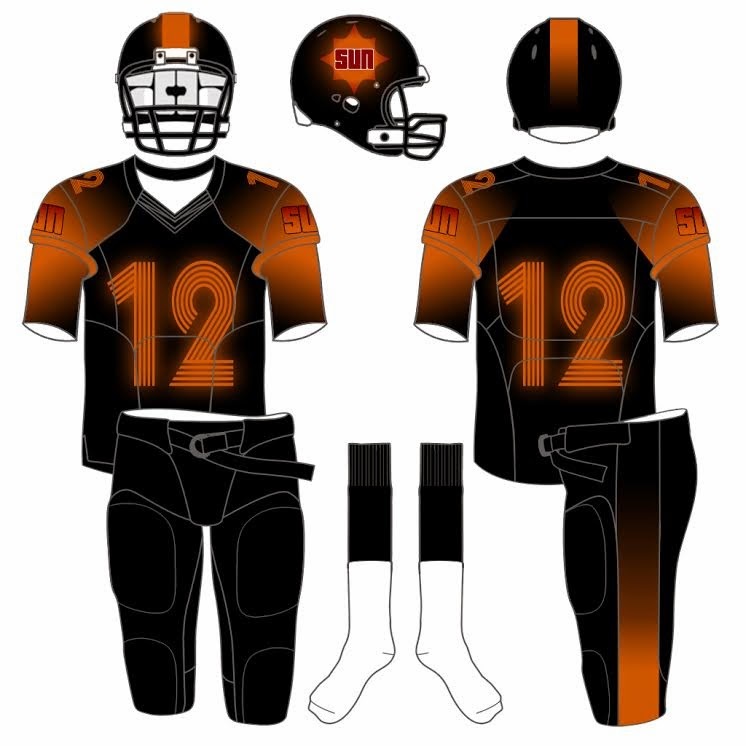 They would also introduce an all black uniform titled "Midnight Solar Flare". 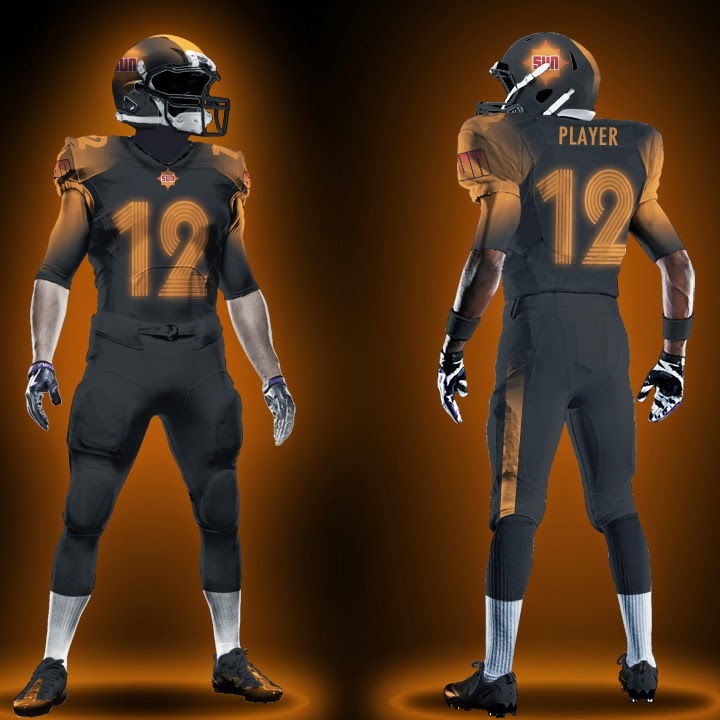 The All-Black alternate would be covered in glowing reflective material on the orange numerals, shoulder gradients, and pant striping that would light up under the stadium lights for night games. 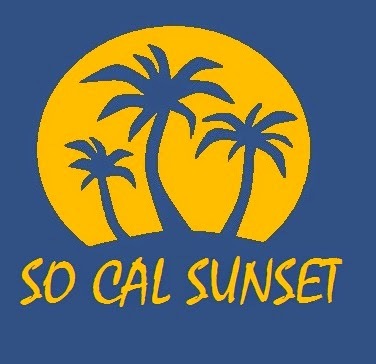 The California Sun comeback as the Southern California Sunset. 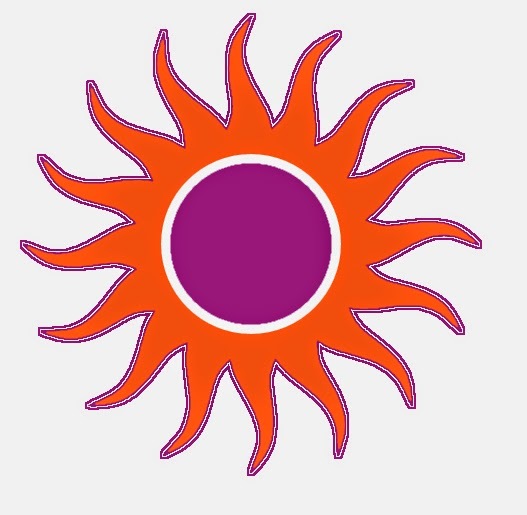 A simple palm tree and setting sun logo accompany a color pallet that is easier on the eyes than the magenta and orange of yester-year.